Adaptive reuse of a state significant heritage listed King Street building for retail and offices, the façade was previously restored by Tanner Architects. 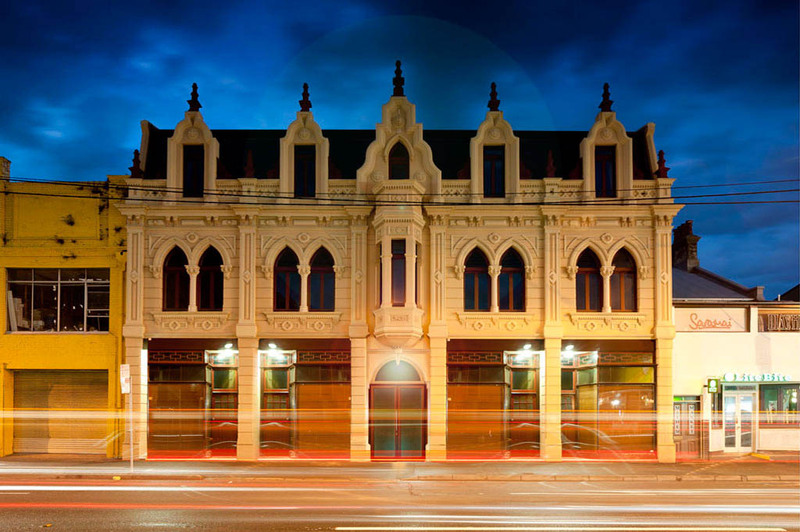 The Trocadero is a wonderful and rare example of a Victorian Flemish style commercial building with free style Gothic detailing. The project includes conservation of significant fabric and spaces, and the upgrading of this significant heritage building to meet modern standards of accommodation, servicing and accessibility. The building was a purpose built roller skating rink from the late 1880′s, with shops and grand reception rooms to the King Street frontage. At the time it was built it was reputed to be the largest and most elegant rink in Australia. The iconic building contributes greatly to the streetscape of King Street, Newtown, being one of the most elaborate facades on the street.